We all have heard stories and legends regarding the events which shaped the world and balanced the scales after WW2. Nonetheless, we rarely come across information about operations that were considered top secret in post-war Europe. To compensate for the dearth of concrete information, Bill O’Reilly & Martin Dugard divulged the Nazi hunt that swept the world. Who Should Read “Killing the SS”? And Why? Evidently, not all mass murderers and assassins were brought to justice after the collapse of the German Reich. Most of the Nazi criminals devised a plan and prepared an escape route that could have been their ticket to freedom. Nonetheless, the Allies were not too keen to allow the high-ranking Nazi Officials to get away with everything they’ve done. 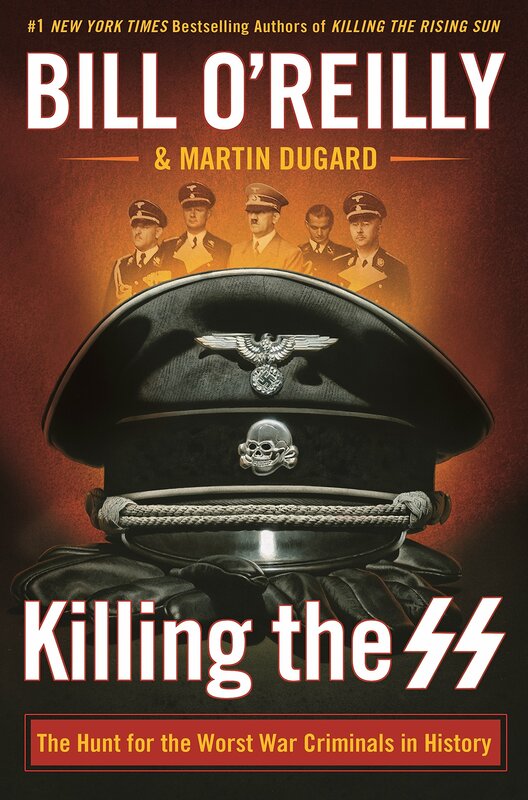 To that extent, we believe that “Killing the SS” is an enlightening classic that puts an end to all rumors and brings about clarity with regards to Nazi involvement in crimes against humanity. As such, we believe it is suitable for all history lovers. 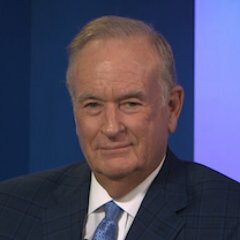 Bill O’Reilly is a renowned American journalist, author, and reporter. His journalism career began at WNEP-TV, and since then he received many accolades for his astonishing professionalism. Martin Dugard is an American author residing in California. He and Bill have a long history of working together and co-authoring a dozen books all related to politics, one way or the other. We all have heard a great deal about Nazi Germany and the crimes committed against humanity. Society these days, feels like some of the story is left in the shadows, and more should be revealed with regards to the whole “witch hunt” on the notorious SS officers. Heinrich Himmler, the blatant executioner, was the head of this organization, which relentlessly raged terror all across conquered Europe. During the worst periods of WW2, Jews became the primary target and ended up being deported to concentration camps in Poland, mostly. Their fate was sealed as the SS orchestrated the mass murder or extermination of Jews with approximately 6 million victims. May 8th, 1945, Germany surrendered to the Allies. Many of the surviving Jews found themselves in the midst of the conflict between East and West. The Soviets have confiscated their homes in post-war Ukraine, Poland, Hungary, while the Germans have tried to exterminate them to the very last person. Their skeletal appearance and sickly physique depicted the atrocities and calamitous damage done to them. Meanwhile, high-ranking SS officers prepared for a getaway, as Himmler shaved off his mustache, and carried a cyanide capsule with him just in case things go south. Among them was Otto Ohlendorf, a notorious war criminal, and commander of the Einsatzgruppen a special operations group that killed civilians and plundered the conquered lands. Livestock, grain reserves, and pretty much everything was taken from the people. They intended to travel South to the Harz Mountains and then lay low for a while. The next best thing would have been to climb the Alps and perhaps leave Germany. On August 10th, 1944 a secret meeting was held in Strasbourg. The attendee were high ranking military officials, members of the secret police, industrialists, and politicians who conspired to support the Nazi regime in post-war Europe. Among them was a French undercover agent who passed the notes of the meeting to the US Secretary of State. Himmler and his collaborators counted on transporting large quantities of gold and money through neutral countries, but it wasn’t as easy as they planned. Upon Germany’s unconditional capitulation, at the North Sea port town of Brunsbüttel, they faced their first major obstacle. Himmler accompanied by Major Macher and Colonel Grothmann crossed Elbe river with the help of a local fisherman. The next morning they ran into a group of Wehrmacht soldiers and blended into the unit. For the second time, Himmler had a decision to make – Was it safe to cross the bridge over the Oste river? Weeks prior to Germany’s defeat, he could have used an airplane to go beyond enemy lines, but he rejected this proposition, as he intended to jeopardize Anglo-Soviet partnership. Himmler ended up being detained by British authorities. He was then stripped and thoroughly searched by the British officers. The interrogators found a cyanide capsule, as Himmler replied: That’s my medicine. Upon conducting a more thorough search, they located another capsule in Himmler’s mouth. They failed to take it away as the notorious executioner bit down hard and ended his life. He was buried in an unmarked grave near Lüneburg. Unfortunately for the Allies, many more SS officials tried to escape from the face of justice, as the witch hunt intensified. Dr. Josef Mengele was one of the first Nazi collaborators who understood what could happen if the Soviet troops capture them. He turned his views to the West, alongside many others who feared Soviet retribution. The so-called Angel of Death performed many experiments on the Jews, and aware of the crimes committed, he knew of his fate if captured. Bormann, Mengele, Barbie, Eichmann are just a handful of Nazis who used their position to arrange their escape through neutral countries. The not yet fallen Reich was still able to provide these high-ranking executioners with passports and documentation needed to bypass hostile patrols. To counter this cowardice desertion, a group of men labeled as “Nazi hunters” was preparing for a massive hunt that was about to bring justice. With the Cold War approaching, The United States Office of Strategic Services (OSS) the predecessor of the CIA began recruiting top-ranking Nazi Officials. They were to be given clean papers and employed as federal spies to perform various operations mostly to sabotage Soviet Intelligence and expansionism. The most notorious of all was the “The Butcher of Lyon” – Klaus Barbie. Many organizations had a role in Nazi escape, whose members tried to evade capture. Vatican was allowed to function in its entirety and did nothing when the Jews were round up and executed by SS squads. Adolf Eichmann, one of the instigators of the “Final Solution,” professed that he never killed a single Jew and had nothing to do with the deportation and execution of the Jewish population. His claim was by no means acceptable and endorsed. In 1960, he was eventually arrested by Mossad’s top agents in Argentina and smuggled into Israel. He was then tried and hanged for his war crimes against humanity. But, let’s go back a bit and see how the witch hunt intensified over the years. Benjamin Ferencz, a Jewish American soldier who survived the D-Day and the horrors in Normandy, is now a war-time hero. He was born in Romania and was one of the lucky immigrants who fled to the US just before the Nazi rhetoric was brought to life. Upon visiting the concentration camps, Sergeant Ferencz was capable of understanding the extent of the atrocities committed by the hands of those who refer to them as Nazis. The Nuremberg trials are a slight beacon of hope led by chief prosecutors Roman Rudenko (USSR) and Robert H. Jackson (USA). On March 13th, 1946 Hermann Göring, the highest ranking prisoner and ex-head of the Luftwaffe was called upon to testify. Throughout the process, he remained confident in the Nazi ideal as he blamed the people for the defeat of Germany. He was sentenced to death by handing and died on October 15th, 1946 after taking a cyanide capsule delivered to him by an American soldier. Benjamin Ferencz was appointed chief prosecutor at the Einsatzgruppen trial at Nuremberg. He singled out 24 Nazi officers who were directly involved in the massacre of 33,771 Jews and were the “implementers” of Hitler’s anti-semitic policies. Everybody awaited the sentencing and the testimonies of witnesses who were at the scene or had some additional information. Benjamin Ferencz didn’t need any witnesses due to the fact that he had in his possession documents which revealed SS atrocities in Kyiv. Out of the 14 SS officers sentenced to death by hanging, only 4 actually felt the rope around their neck. The rest of them were released in the late 50s; gen. Otto Ohlendorf (the mastermind) was not among them. He was to be hanged on June 8th, 1951. The name Adolf Eichmann yet again crops up in the discussion. He protested his innocence until the very last breath and denied any involvement whatsoever in the massacre of Jews in the Soviet Union. In 1944, Hungary had the largest intact Jewish community in Europe. Himmler dispatched “the expert” of the Jewish Solution, Adolf Eichmann, to arrange the transport and take care of the details. After the war, he grew impatient, worried that the Nazi hunters could get to him. In 1950, he received unwanted attention, as some sort of a Nazi defiance and decided to settle down for good using former Nazi links. He prepared an escape plan using the same route as Dr. Josef Mengele did a year earlier. The hunted Nazi criminal boarded the SS Giovanna C and arrived at Rio de la Plata in Argentina 4 weeks later. Seven years after the end of WW2, Eichmann was united with his family. Despite the early joy, Mossad continued to chase down Nazi criminals and smuggled them into Israel. Zvi Aharoni was in charge of the hunt. He believed that Ricardo Klement (Adolf Eichmann’s fake name) was, in fact, the notorious war criminal. Upon laying eyes on Eichmann, Aharoni wrote a report back to his authorities in Tel-Aviv. After a while, they confirmed his identity and issued an order to bring Adolf Eichmann to justice. He was then tried and sentenced to death. Even though we want to portray our nation, culture or tradition as victims of oppression, almost no one has a clean past. Our job is to learn from history, never to repeat it. Try to adopt a broader look on life, and accept people as they are. Try not to be judgmental and understand that every culture had its good and bad moments. We are all here to learn, and whatever was done in the past, should remain there. As a sequel to the previous statement, one must really reject socially-imposed ideologies and stay with both feet on the ground. 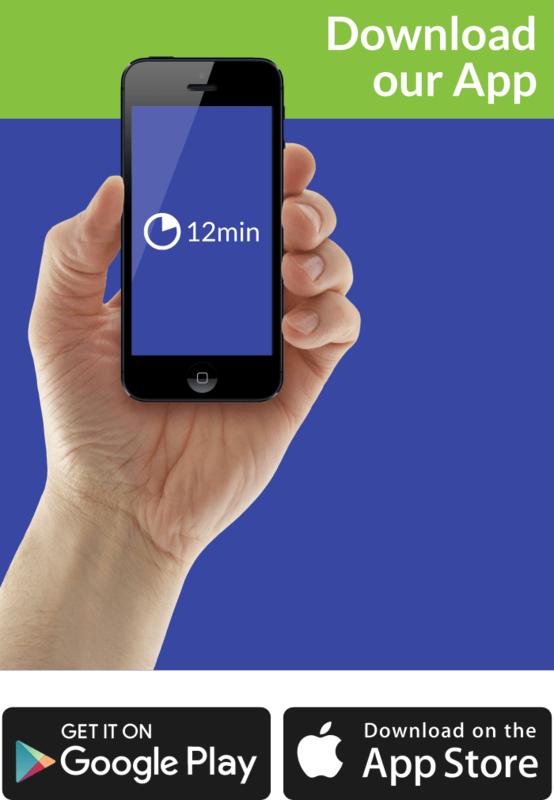 It is a decisive moment that could lead to global prosperity and peace. Wise people always want to hear both sides of the story to help them in their judgment. Since the end of WW2 and the defeat of Hitler, the society was keen to know more of what led the Nazis to commit all those crimes and why did they follow a lunatic. On top of that, psychologists have pondered about the people’s choice to associate with the likes of Himmler. Anyway, in this book, you’ll get a glimpse into the story that was whispered all these years. We find it both educational and intriguing at the same time.